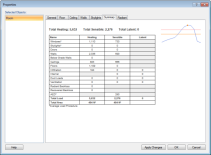 Heat loss calculations in LoopCAD are for residential applications. For commercial applications it is recommended to use the Manual Heat Loss mode. 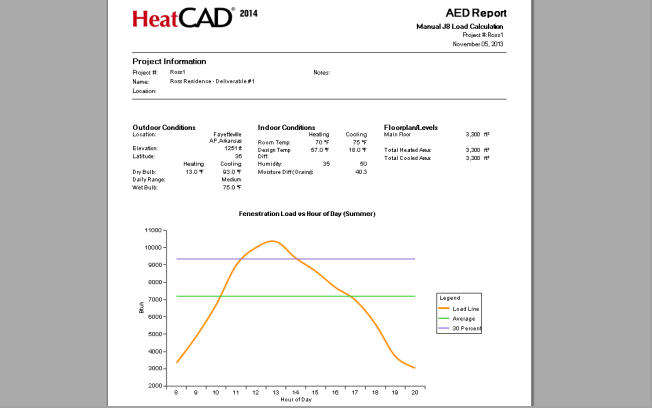 HeatCAD and LoopCAD are now ACCA®-Approved for Manual J® residential heating and cooling load calculations. The MJ8 Editions of these programs have been specifically designed for the newest Manual J Standard (8th Edition, Version 2.50) and have undergone rigorous testing and review to ensure compliance and to attain the ACCA-Approved status. Click here for ACCA's listing of approved software. The implementations of Manual J in HeatCAD and LoopCAD are the advanced standard-compliant calculations (not the Abridged Edition limited version). 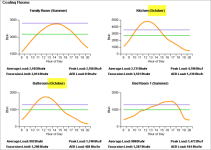 Our programs offer advanced calculations and options such as block, room and peak loads, AED calculations and graphs, October cooling load evaluations, and standard-compliant reports. 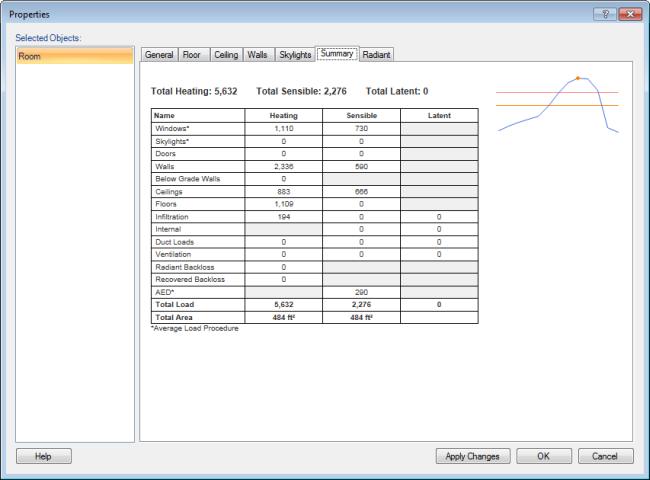 And the custom Manual J Review step provides an easy and fast way to check key data and settings in your project design. The Manual J Standard also includes important limitations and a defined scope of applicability. It is critical that you understand what these limitations are and how they apply to your work. A good starting point are ACCA’s “Do’s and Don’ts” (Section 2-3), but a thorough understanding of the entire Manual J standard is required for the proper use of these programs. Visit the ACCA Online Store for purchasing information for the Manual J standard. The following highlights key features in the MJ8 Editions for both HeatCAD and LoopCAD. 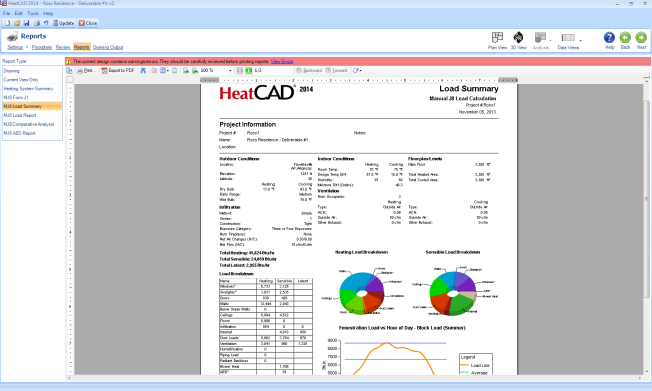 For a detailed comparison of features refer to the HeatCAD Features page or the LoopCAD Features page. Full support for Manual J 8th Edition residential cooling loads including block, room, and peak loads, infiltration and ventilation loads, detailed exposure diversity analysis (AED), October cooling load calculations, and room CFM estimates. 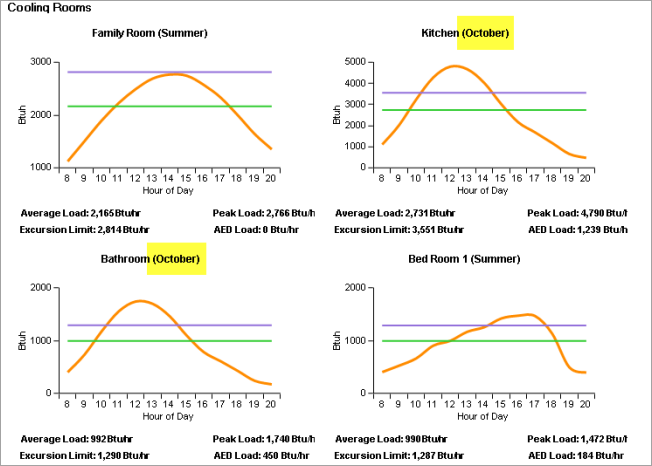 The October cooling load analysis is performed automatically for all projects. October loads may exceed summer loads in cases with large amounts of south facing glass. If high October loads are detected these are then used for the project results. 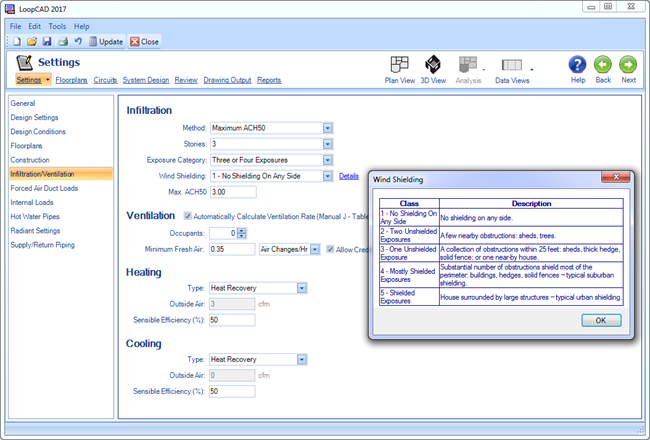 Adequate Exposure Diversity is a key concept for proper fenestration loads calculations in Manual J, and it is automatically evaluated for every project. 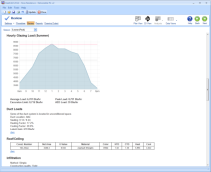 If required an Excursion amount will automatically be added to the load results. 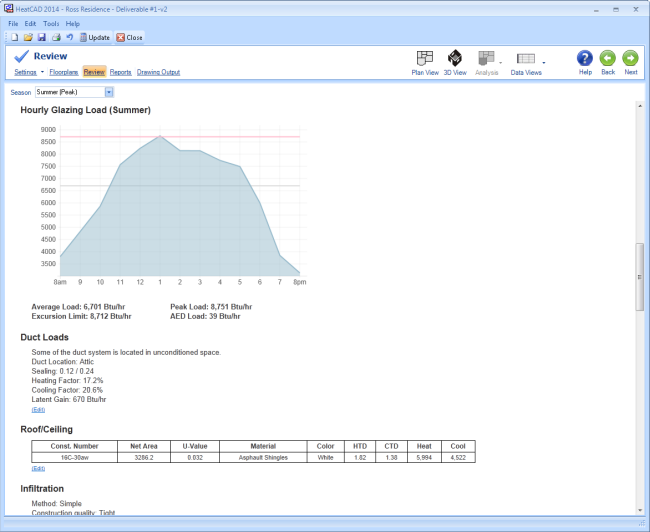 AED graphs are available for onscreen viewing and in the output reports. 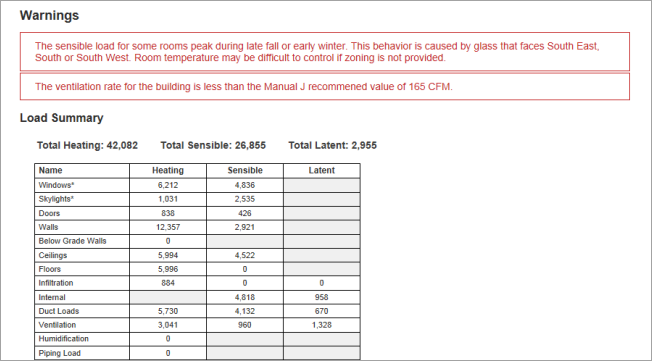 Residential heating loads are calculated according to the Manual J standard, including infiltration, mechanical ventilation, cold partitions, radiant floors, and duct and pipe loads. The custom Review Step in both HeatCAD and LoopCAD provides a valuable tool for the critical review of the key data and settings in your project. Easy access to the settings is also available here, so making changes and re-evaluating the results is quick. Warning flags are raised whenever the design parameters stray outside of the normal values recommended by Manual J. As the designer you can then choose if and how to deal with the issues. 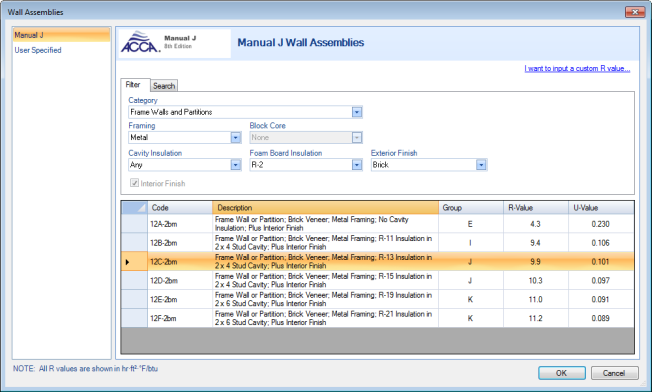 To further assist with your design review, all Manual J Forms A through I are available and automatically completed. Implementation of ACCA Technical Reference Note 2016-1 to assist with the easy calculation of Manual J infiltration loads based on the maximum allowable Air Changes per Hour (ACH) that may be specified by the relevant code or standard in your region. Acrobat and PDF are registered trademarks of Adobe Systems Incorporated. ACCA, Manual J and Powered by ACCA Manual J are registered trademarks of the Air Conditioning Contractors of America. All rights reserved.